Champagne Pool (green-orange) and Artists Palette (yellow), famous coloured boiling hot spring and sintered terrace, Waiotapu Geothermal Area. Wai-o-tapu. 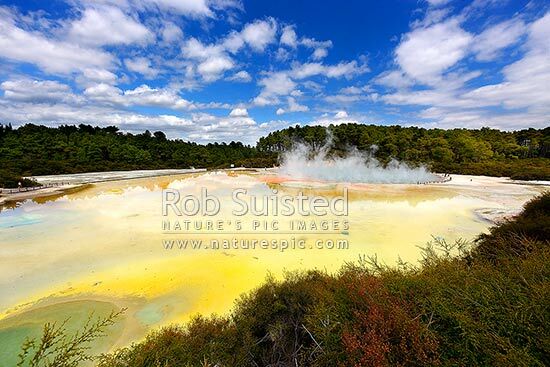 Waiotapu Thermal Reserve, Rotorua, Rotorua District, Bay of Plenty Region, New Zealand (NZ), stock photo.